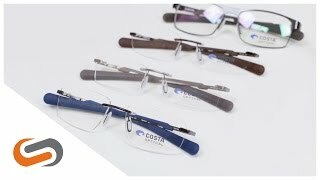 Costa Seamount 120 prescription glasses deliver purely professional style with a rock solid titanium frame construction and slightly rounded, rectangular lenses. These Costa rimless glasses are built with Hydrolite rubber temples for a secure fit and added comfort. If you're seeking a minimalist look, leave it to a pair of Costa Seamount 120 prescription glasses to deliver just that.